Boasts 25 Highway MPG and 18 City MPG! This Honda Ridgeline boasts a Regular Unleaded V-6 3.5 L/212 engine powering this Automatic transmission. Wheels: 18" Exclusive Machine-Finished Alloy, VSA Electronic Stability Control (ESC), Voice Activated Dual Zone Front Automatic Air Conditioning. 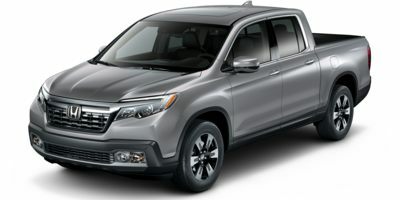 *This Honda Ridgeline Comes Equipped with These Options *Variable Intermittent Wipers, Valet Function, Urethane Gear Shift Knob, Turn-By-Turn Navigation Directions, Trip Computer, Transmission: 6-Speed Automatic, Transmission w/Driver Selectable Mode and HD Oil Cooler, Tires: 245/60R18 105H AS, Tire Specific Low Tire Pressure Warning, Tailgate/Rear Door Lock Included w/Power Door Locks. * Stop By Today *Stop by Honda Marysville located at 640 colemans Crossing Blvd, Marysville, OH 43040 for a quick visit and a great vehicle! DISCLAIMER: Sales Tax, Title, License Fee, Registration Fee, $250 Dealer Documentary Fee, Finance Charges, Emission Testing Fees and Compliance Fees are additional to the advertised price. Any available rebates included in sales price in lieu of any special financing / lease incentives unless otherwise indicated. Internet prices are available to everyone.